Distributor / Channel Partner of a wide range of products which include axial flow transformer oil pump. We are rated among distinguished organizations involved in offering a wide range of Centrifugal & Axial Flow Transformer Oil Pump. 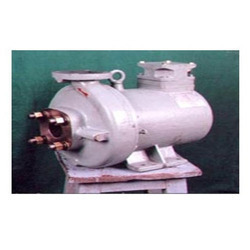 The Centrifugal & Axial Flow Transformer Oil Pump we offer is equipped with oil /thermal cooling feature that makes it suitable for applications found in heat transfer plants. In addition to this, Centrifugal & Axial Flow Transformer Oil Pump provided by us is designed using heavy duty bearings and components, adhering to latest industrial standards. In refrigerating oil piping of static or as mobile transformers and converters. In Locomotives, to assemble as a unit on a common shaft.